Mother’s day is May 8th this year – just about a week away! Let’s not forget to treat our moms! A book about being a good parent. A bathroom scale, diet cookbooks or spanx. What should you get mom for Mother’s Day? Did you know the top thing mom wants for Mother’s Day is quality time with their family? In a survey, 63% of moms said that they were hoping for quality time for Mother’s Day! And while I respect mom for giving such a sweet and dear answer, let’s be realistic – don’t be caught empty handed on Mother’s Day with just your “quality time” to give! At least the second most popular answer is something we can work with – flowers! Whether you live in the basement, next door to your mom or across the country, flowers are a great gift for mom this Mother’s Day! Hallmark helped me send these beautiful flowers to my mom. My mom is my hero. She is by-far the nicest, sweetest, kindest, most gentle person you’ll ever meet. She has nothing bad to say about anyone – ever. She is uplifting, positive and full of joy. She will invite the homeless in for dinners, she will provide shelter for those struggling financially or emotionally, she will treat everyone with love and respect – and wants the best for even her enemies (which, she has none.) She is a light in this world! She has taught me so many things, most importantly how to love people, live a life that is unselfish and to give back to others. Ordering a beautiful flower arrangements from Hallmark is so easy! Hallmark Flowers has 11 curated floral bouquets to choose from on www.HallmarkFlowers.com. 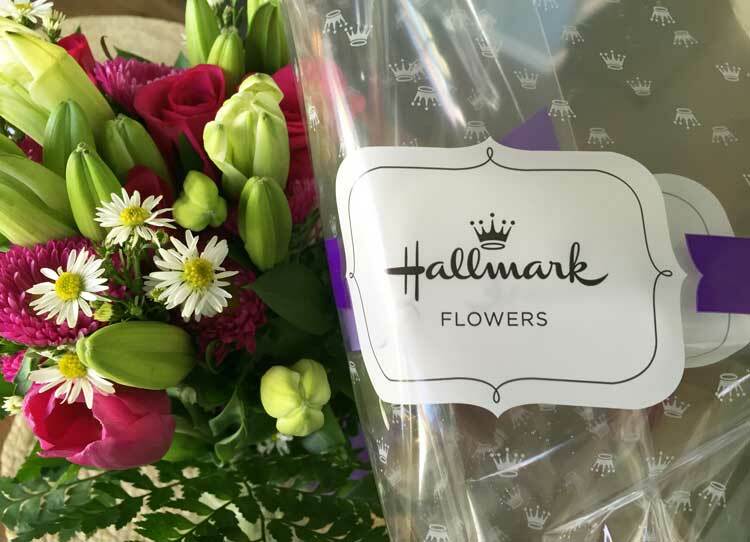 Each bouquet is wrapped in a Hallmark-branded floral sleeve and tissue to help gift recipients associate these arrangements with quality, caring and luxury. You can add a Hallmark sentiment tag and write a special note to your mom! Beyond the flower arrangements, at Hallmark Flowers, you can find other Mother’s Day gifts to send in the mail. They have fresh potted plants too! So whether your mom (wife, mom-friend, etc.) 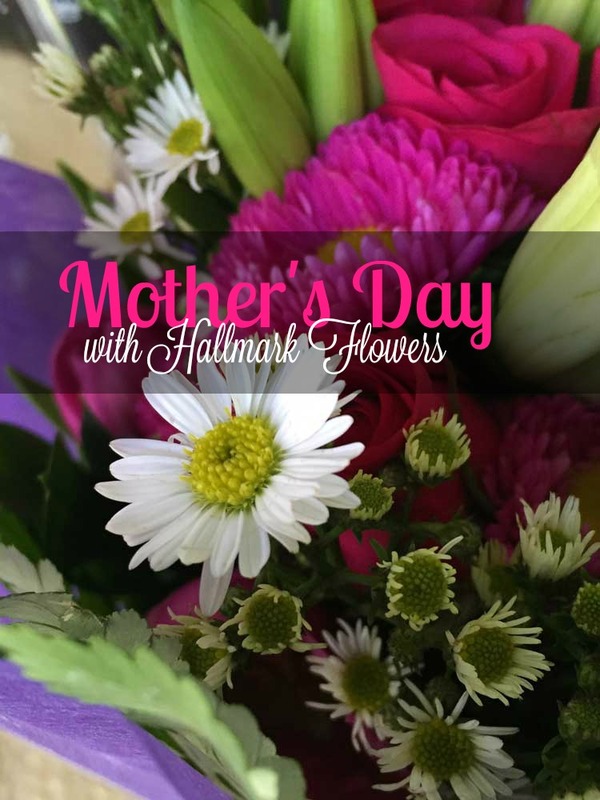 would love a colorful and bountiful flower display or a fresh potted plant to keep for years to come, check out Hallmark Flowers this Mother’s Day! You won’t regret it. 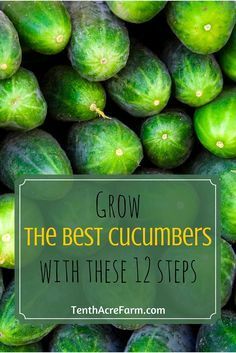 It is so simple and brings your mom joy! 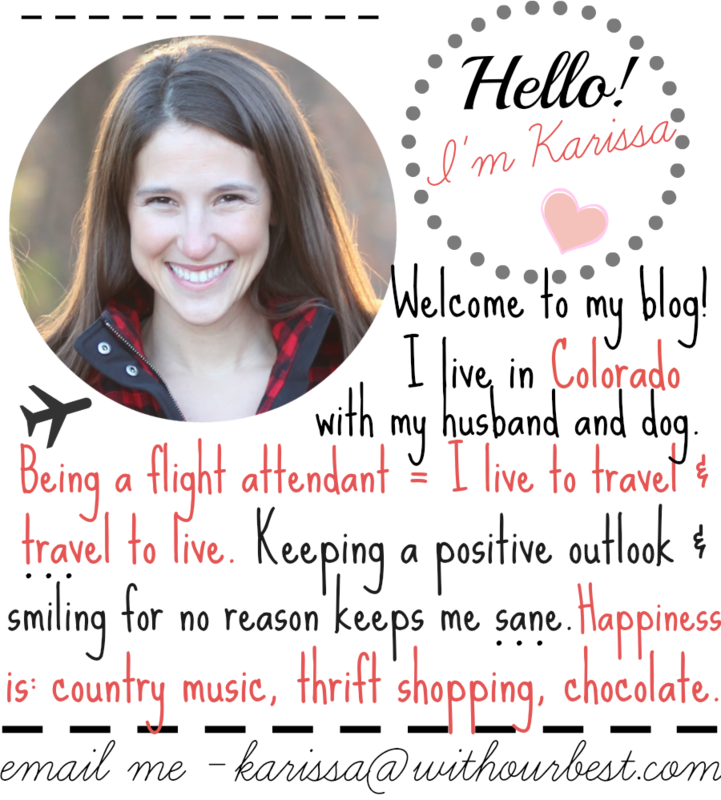 Flowers are a most-wanted gift that is easy for anyone to send – no matter the distance (I live in Colorado and my mom is in Washington)! Mother’s Day is May 8th – so I encourage you to spend time with your mom if you can and either way, send her some surprise flowers that will make her smile! The full lineup and more information is available at www.HallmarkFlowers.com. I love fresh flowers. It makes my day seem a little brighter to see all those beautiful colors. I hope that I get some flowers for Mother’s Day. I had no idea that Hallmark sent floral arrangements, but they look so beautiful. Your mom looks like one happy (and lucky) lady! Those are so pretty! I’d love to get a flower arrangement like that for Mother’s Day! I used to always get flowers for my grandmother. I miss that! Perhaps my mom needs them this year! They’re gorgeous. what a beautiful arrangement. My mother would love these. I didn’t realize Hallmark had gotten into the flower business. Going to have to do some comparison now! Flowers, jewelry and a peaceful day are the top 3 things on my list every year for Mother’s Day. I also enjoy a good brunch where I don’t have to clean up after or manage children during the meal! I had no idea this was even a possibility. I’m excited to give one to my mom now. I love the idea about doing the spa! I’m not a huge flower person, but it’s something about fresh flowers that just gives me life! Thanks for the review, and Happy Mother’s Day to you! Thanks for sharing, I didn’t know Hallmark sent flowers. BTW I love you list of what NOT to get your mom!!! LOL! 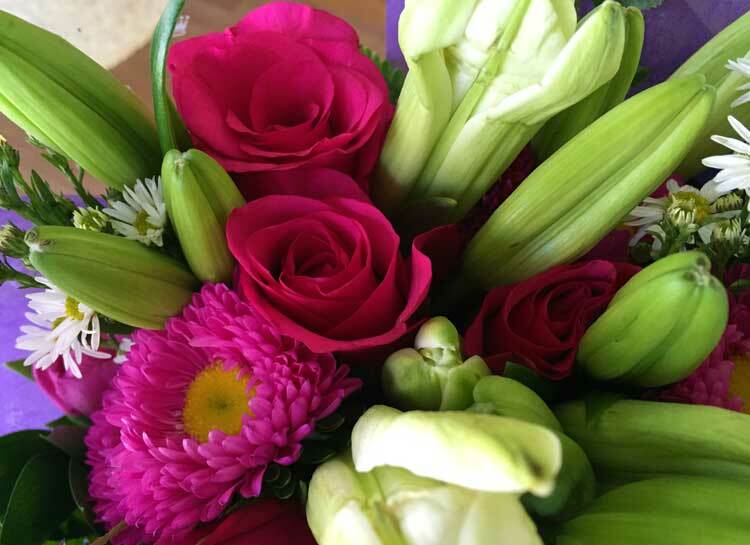 Fresh flowers are one of life’s little luxuries. These are gorgeous, and how awesome that you were able to honor your mom with a lovely bouquet! 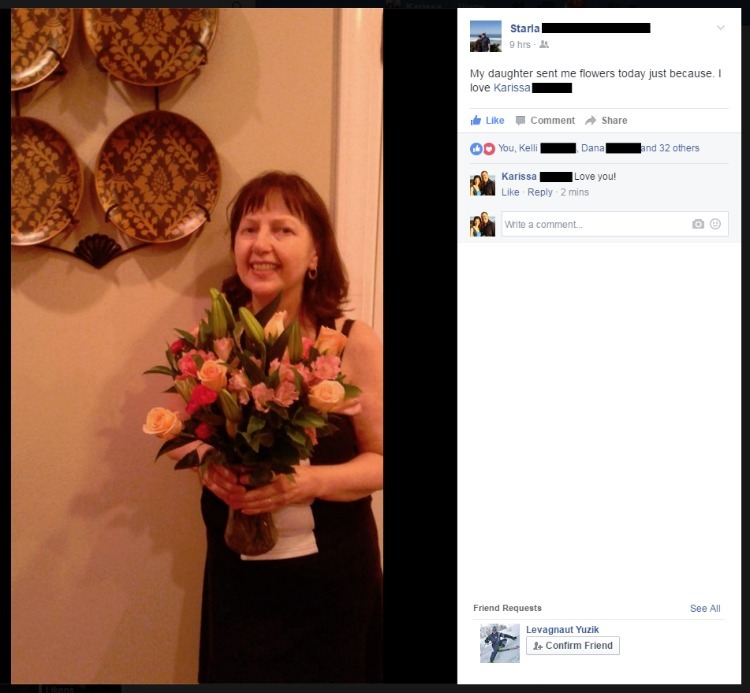 My mom loves getting flowers. Something we always do for Mother’s Day. These are beautiful, I love Hallmark!! We love doing flowers. This year, in addition, we discovered Whisk and Bean ((an awesome local company) is offering super cute goodie boxes filled with baked goods for $35. I love flowers but they drive my mother’s allergies NUTS!! Normally I would opt out of fresh cut flowers and get something we could plant in the flower bed but those bouquets are beautiful!